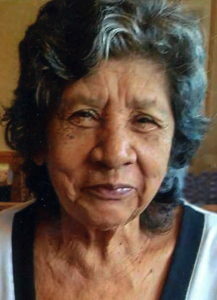 Julia Carranza, 86, passed away peacefully surrounded by her loving family on January 18, 2018. Julia is survived by loving daughters Patricia, Gisela, Mira, Marianna and Paula Zegarra, her sons, Jorge, Juan and Miguel Zegarra, her brothers Carlos and Hugo Carranza and 3 sisters, Lola, Gregoria and Sylvia Carranza. Also, 20 grandchildren and 5 great-grandchildren. She will be deeply missed by all. I have found comfort in the realities found at Acts 24:15, where it mentions that there will be a resurrection of our loved ones. And a real hope of our being reunited with them is found at John 5:28,29.